When I wrote about the town of McIntosh, I mentioned how the development of the interstate highway system led to many towns being bypassed by traffic that had once regularly passed through them. 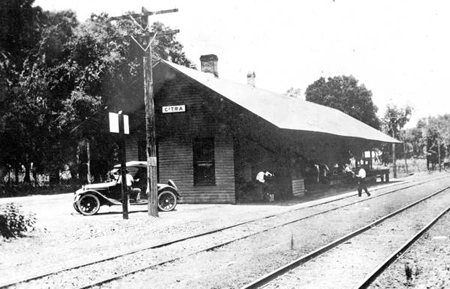 Combine that with the decline in railroad travel and some historic freezes, and you have the history in a nutshell of many desolate Florida towns... including today's topic, Citra. 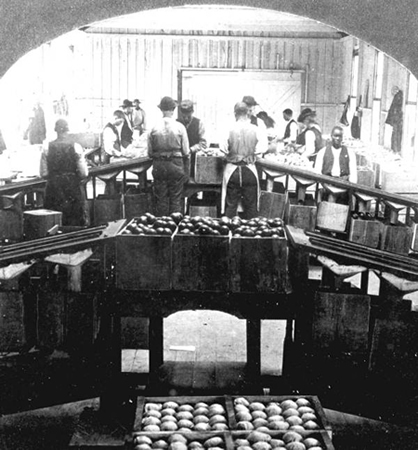 As you might guess from its name, citrus played an integral part in the growth and eventual decline of the community of Citra. 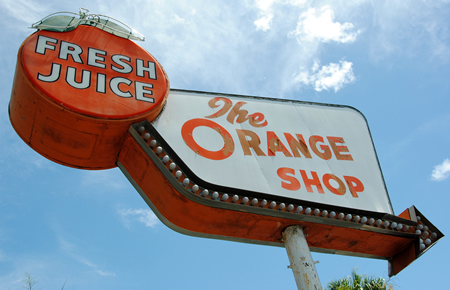 The community was formally named in 1881 with the arrival of the post office, but the area had been inhabited by American citrus farmers for a decade or so by that point. 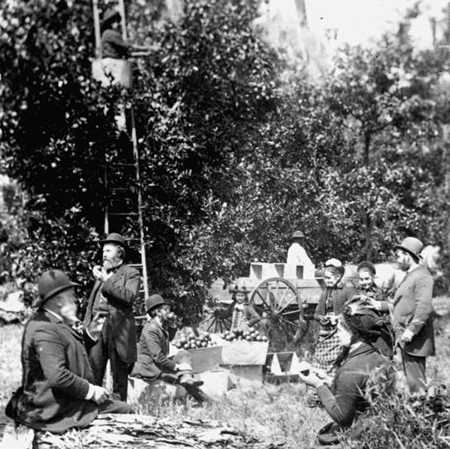 Citra grew and thrived as a citrus growing community, with its specialty being the pineapple or hickory orange, which once grew wild in that part of the state. (The pineapple orange may have been indigenous, but was most likely brought to the state by early Spanish explorers.) I haven't found any data on the population of Citra in its boom days, but it did once have a bank, post office, train station, "several" stores, and a movie theater. 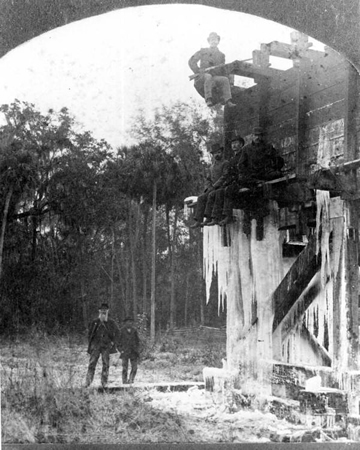 While many of the north Florida communities that sprang up around the citrus farming industry didn't recover from the harsh freezes of the late 1800s, Citra - which was hit hard by the freezes - managed to remain a citrus-producing center well into the twentieth century. However, a succession of freezes in the early 1980s ('83, '84, and '85) finally ended Citra's run as a citrus producing center. 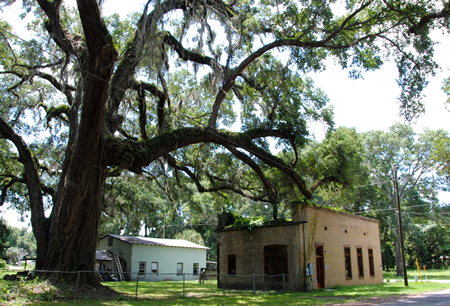 The modern community of Citra is located along highway 301 near the northern edge of Marion County. If you drive through Citra today, you'll see a convenience store, a church, The Orange Shop, and not much else. I had hoped to discover some unique photographic gems just off the highway, but I found very little. Modern Citra truly is desolate. 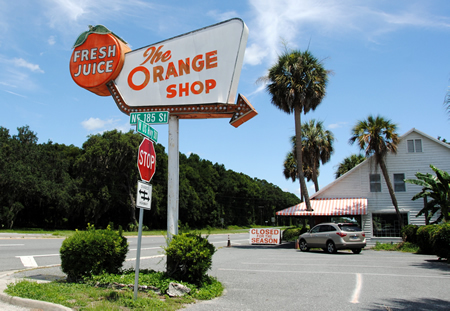 The Orange Shop is the most notable landmark of Citra, but it is closed for the season. Hardly anything remains along the former main street of Citra (now Hw 318). The only sign that 318 was once the main street of a town is one old building which now sits empty. Apparently this structure was built in the 1920s, and originally served as a bank. 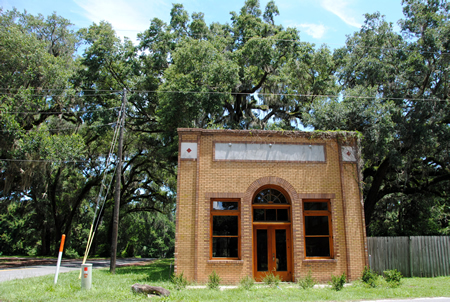 It has also served as the location of the Citra post office, and for a while the community was raising money to restore it and turn it into the Citra Historical Museum. Unfortunately, as of my trip through Citra in June, it seemed to be empty, and I haven't found any online references to the museum since 2014. 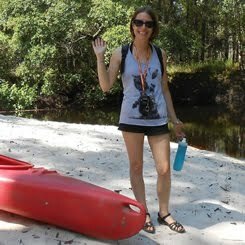 Florida is such a lush place, with big houses and huge roads and stuff. Ideal to settle down and have a family. Except the weather drives you crazy. SO DAMN HUMID MAN! It's nice that you share such information with us, I am grateful to you.